There have been numerous players to have played for the two biggest clubs in the Spanish capital throughout the years. Even some of the players currently part of this year’s squad of the two teams have had the opportunity to play for their city rivals, even if for a short period of time and without leaving a very huge impact during their stay. These include Atletico defenders Juanfran and Filipe Luis as well as star midfielder Saul Niguez who were all part of the Real Madrid youth academy. Atletico’s second choice goalkeeper Antonio Adan also spent time with the Los Blancos both as a youth as well as in the senior squad between 1997 and 2013 even though he was not able to leave a mark in Madrid. Theo Hernandez, currently on loan at Real Sociedad from Real Madrid, joined the Galacticos from Atleti in the summer of 2017 for a fee said to be around €24 million. At a very young age, Alvaro Morata was part of the Atletico Madrid youth academy where he spent two years before he moved to Getafe in 2007. Then after a year there, Real Madrid acquired him and inserted him in the Real Madrid C team. Alvaro Morata was part of the Atletico Madrid youth academy where he spent two years. After some strong appearances with the Juvenile A team in his first season, Real Madrid decided he was fit for the club’s reserve team, Real Madrid Castilla and he instantly managed to impress senior squad manager at the time, Jose Mourinho. From then on the Spaniard was constantly included within the senior squad with which he played for four seasons from 2010 until 2014. Morata re-joined Real Madrid in 2016 after a 2-year spell with Juventus in the Serie A. In total, he has two La Liga titles as well as eight other titles with Real Madrid during his two separate periods at the club. 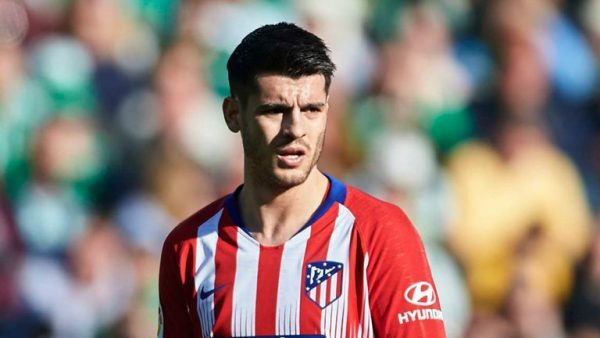 Then, during the January transfer window, Morata managed to secure a loan move back to Atletico Madrid from Chelsea and is expected to make his home La Liga debut on Saturday against his former side Real. Similar to Morata, Raul’s early years of his football career were with the Rojiblanco youth academy but had his best years with Real Madrid rather than Atletico. Raul spent two years at Atletico before he switched directly to the Real Madrid youth squad. Raul went on to become an absolute legend for the Bernabeu side, with 550 appearances for the club and 228 goals throughout his sixteen-year period with the club. The first goal for Raul with the Los Blancos came at the very young age of 17 actually against Atletico Madrid when they won 4-2. Raul featured 27 times against Atletico at senior level, scoring 11 times and losing only two times. The current Real Madrid manager has had quite an illustrious career during his playing years and to have played for both Madrid sides might even be enough to describe how good a career he’s had. Solari is also the current Real Madrid manager. Solari arrived in Europe from River Plate in 1999 and joined Atleti with whom he featured 46 times scoring seven. After 18 months with the Rojiblanco, Solari moved to the other side of the city to Real Madrid with whom he had 131 overall appearances throughout the five seasons from 2000 to 2005. On both sides, Solari never lost a Madrid derby. At Atletico, the Argentinian midfielder won two and scored in another which ended in a draw. With Real Madrid, he played four derbies against Atleti and won all four of them. You can check out all the Atletico Madrid vs Real Madrid Odds for tonight, courtesy of Yobetit, HERE! 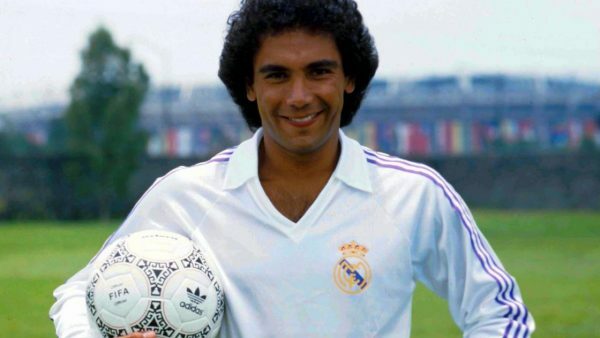 Former Mexican striker Hugo Sanchez is another one to have played for both sides in Madrid and has had memorable seasons with both. He started off his European career with Atletico at the age of 23 and spent the following four years with the Rojiblanco. Sanchez was able to score 54 times in 111 appearances and went on to win the Pichichi trophy for being the most prolific scorer in the 1984-1985 league with 26 goals. Hugo Sanchez is one of the all-time top scorers in Real Madrid history. Later on that year Sanchez was signed by Real Madrid where he stayed for seven years winning five La Liga titles during his stay. During his period at the Bernabeu, Sanchez scored 164 goals and won four-consecutive Pichichi trophies, becoming the only player in Spanish football history to achieve this without sharing the trophy with any other player in any season. The former Mexico international managed to find the net two times against Real during his time with the Colchoneros and another two times after he switched sides. 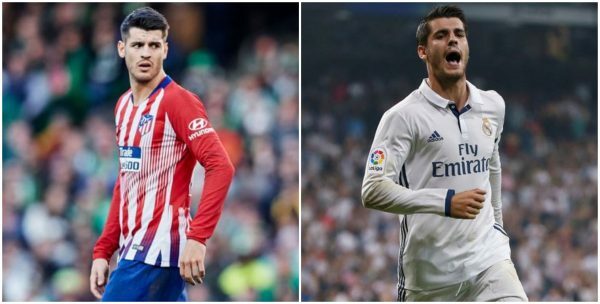 Similar to Morata, Courtois is another who’s still during his professional football career and to have been to both sides of the Madrid derby. He spent three seasons with Atletico where he managed to keep 56 clean sheets in 111 appearances. He also managed to win the 2012 Europa League title, a Copa del Rey in 2013 as well as a La Liga title during his last year with the Colchoneros. 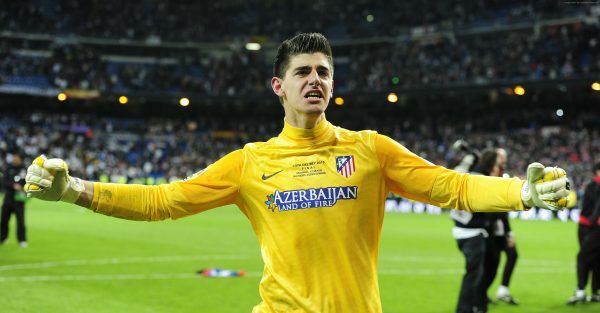 Courtois spent three years at Atletico Madrid between 2011 and 2014. His loan spell with Atletico ended in 2014 and went back to Chelsea for the following four seasons. Then in the summer of 2018, Real Madrid announced the signing of the Belgian goalkeeper on a permanent deal, admitting he’s a Real Madrid fan from his early years. The 26-year-old kept a clean sheet when the teams met in the first derby of the season, October’s 0-0 draw at home.